This 4 channel DALI decoder can control single colour, tunable white, RGB or RGBW LED strips. Compatible with the Dali standard protocol and comes equipped with a digital display allowing users to set manual or automatic addresses. 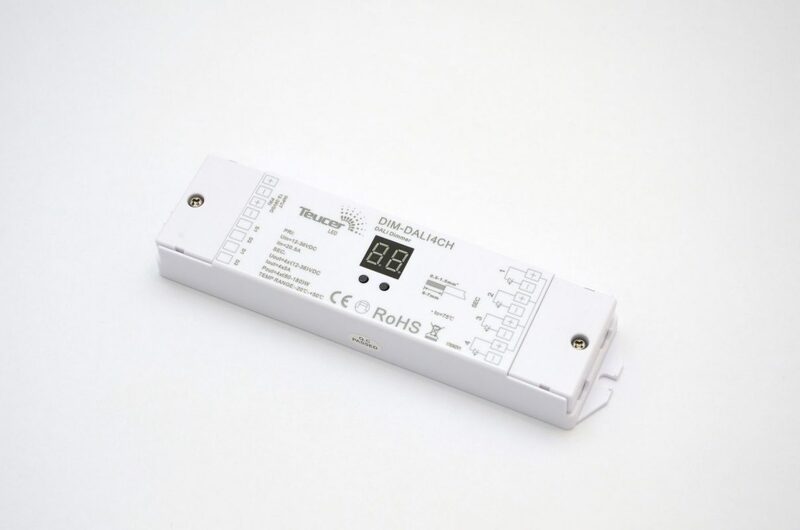 Compatible with PR-RGB signal repeater to expand your LED lighting.